We had a totally new experience on New Year’s Day. I had had only a vague knowledge of what a quinceañera was. A party and a fancy dress on a girl’s 15th birthday and a rite of passage in Latin America — that was all I knew. 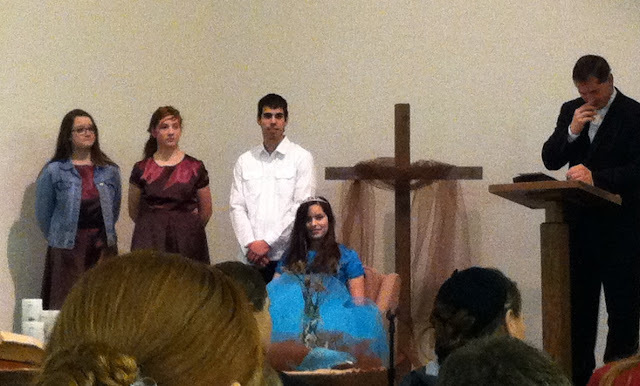 Then we got an invitation to our young friend Eunice’s quinceañera. Laughing, she explained that it was somewhat formal and yes, they would serve a meal, and gifts were nice but not required. She also said this one would deviate from Mexican custom in that there would not be alcohol or dancing, and they would not announce that their daughter is now ready for marriage. I didn’t realize that I also would learn about what happens behind the scenes to get ready. My sister-in-law, Bonnie, was asked to bake the “tres leches” cakes for Eunice’s party. Bonnie called me. 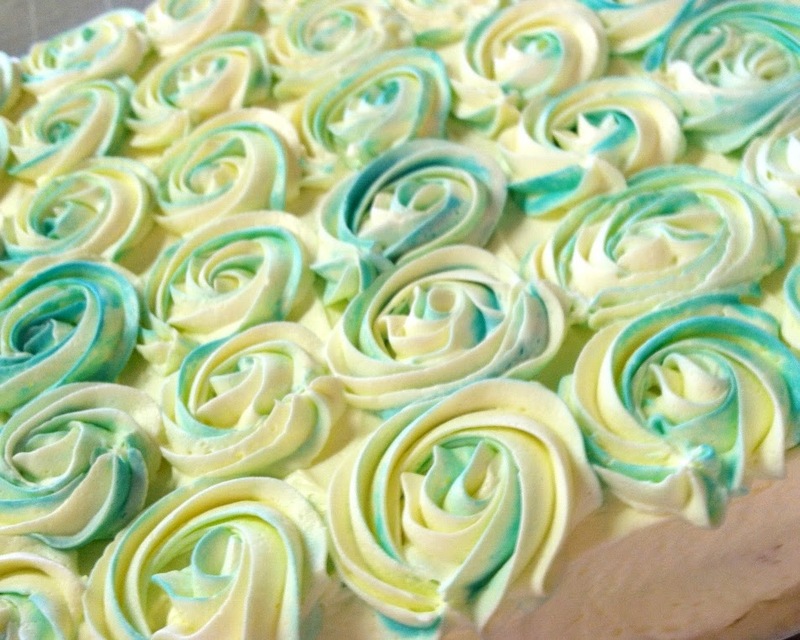 If she baked the cakes, would I be ­willing to decorate them — maybe in those swirled roses that are the latest thing? I said yes, even though I had never made swirled roses. Then I looked up how to make them. 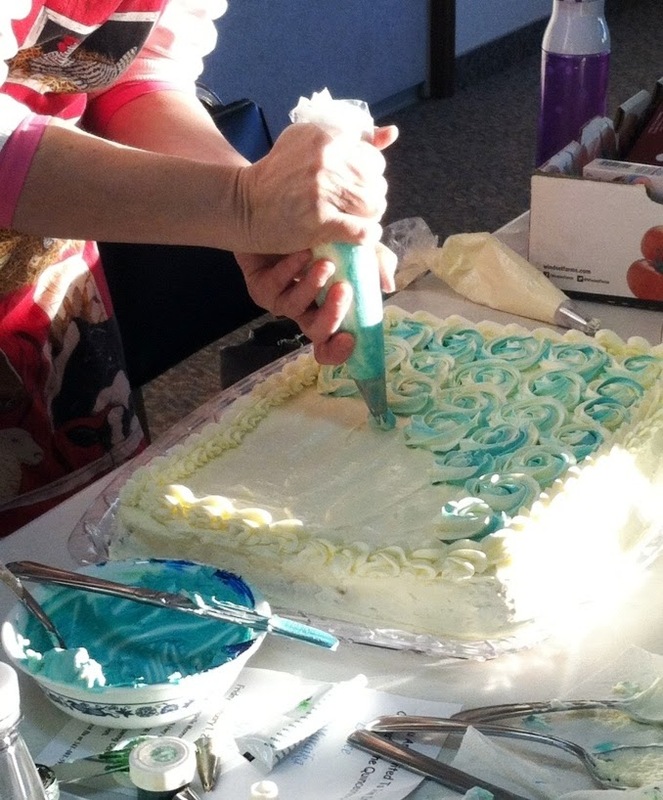 “Hold the icing bag, push once, then swirl around,” the directions said. 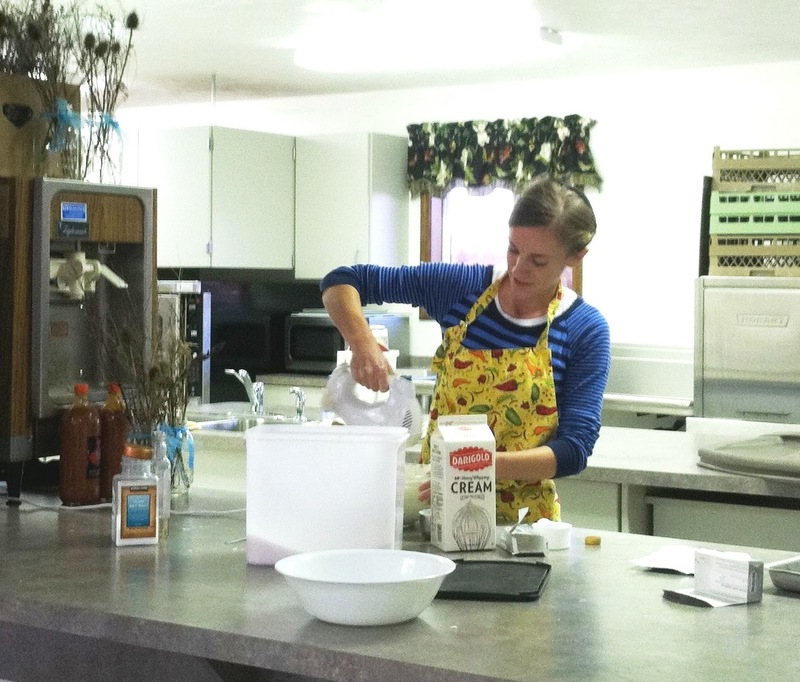 I took my supplies to church, where half a dozen Spanish-speaking ladies, tubs of tamales and unbelievable fragrances filled the kitchen. Soon Bonnie and her daughter Stephanie arrived with six large sheet cakes, all made in a light, sponge-cake texture. 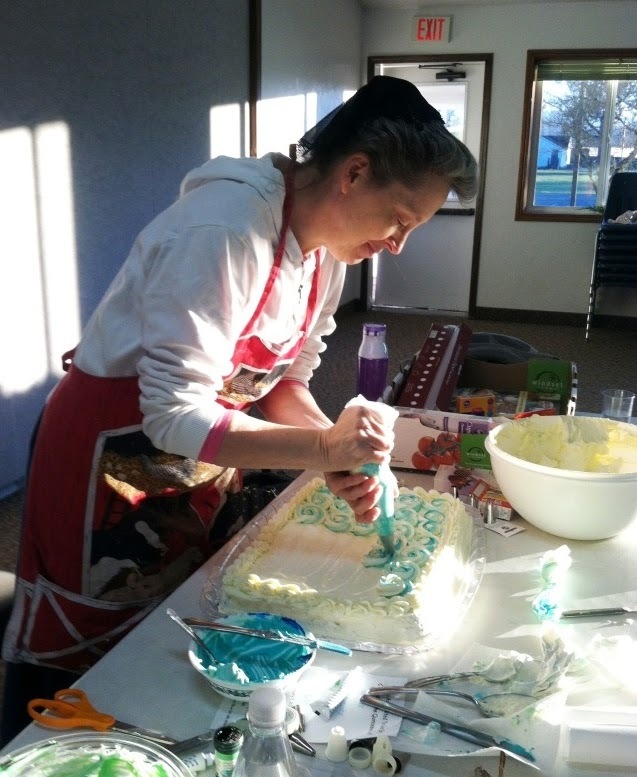 Stephanie stabbed each cake numerous times with a fork and then, in a disturbing procedure, poured a sweet, milky mixture — the “tres leches” — all over each cake until it was soaked. I like cakes fluffy and moist, not soggy. What a strange tradition. 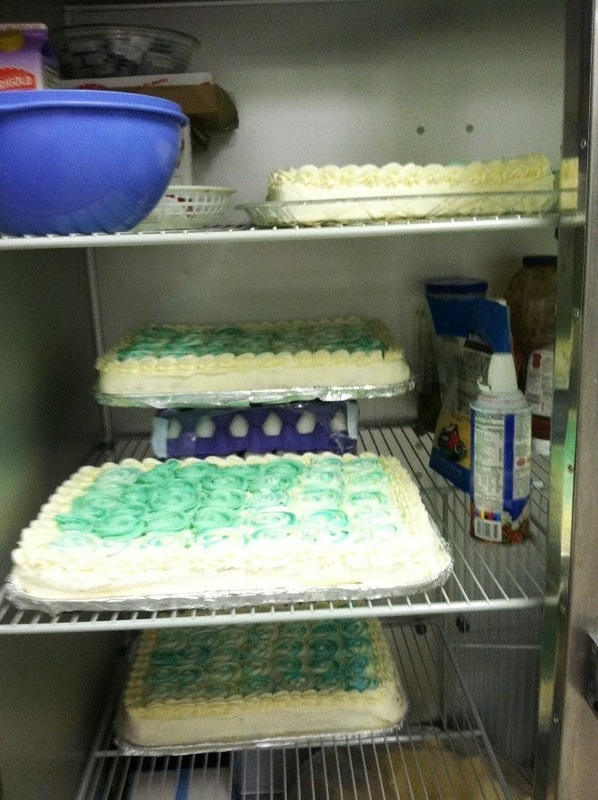 Out came gallons of whipped cream frosting. 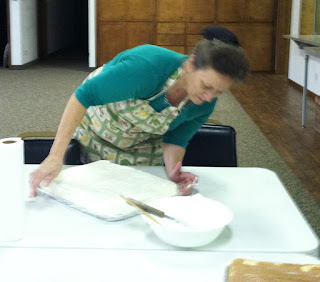 Bonnie put a thin base coat on each cake, dabbing at the oozing milk at the edges with paper towels. I mixed blue and green food color with a small bowl of ­icing to make a passable teal color, swiped two streaks of it down the inside of a parchment decorator bag, filled the bag with white ­frosting, and made my first swirled rose. Push once, swirl counterclockwise, and there it was, pretty, rose-like, and tipped in a touch of teal. Stephanie whipped cream for more and more icing, Bonnie frosted and swabbed, I filled and refilled my ­icing bag and covered cake after cake with careful swirling rosettes. We put the six cakes in the big refrigerator and went home. The tamales and beans were delicious, but I was nervous about my first bite of that soggy cake. I could have skipped it, but why miss an opportunity to try something new? It was astonishingly good. Cold, just sweet enough, and complemented perfectly with that whipped-cream ­icing. I ate more than I should have. For the sake of my teenage and 20-something children, I try to keep up with the trends that blow through their lives. I was not ­intending to join the fad, but the word “yes” bubbled to the surface, and I decided to pick it up and keep it. A second trend is adventure, demonstrated on that public ­platform of Instagram by young people who wander the country or the world in VW vans or refurbished campers and hiking sandals. They post dreamy pictures of campfires, ocean sunsets and mountaintop views, all labeled with a dozen hashtags, known in my day as pound signs, along with words put together without spaces like #followthehorizon and #adventurecalls and #pursuethedream and #thewanderinglife. These adventurers are followed by thousands of people who, we assume, live much less exciting lives and long for the wild and free living of dreamers and vagabonds. If these onlookers are anything like our kids, they go to work or school every day, have car trouble about once a week, can’t afford Starbucks ­coffee and feed the neighborhood cats when their owners go visit family in Seattle. Thankfully, despite the occasional envious glance at yellow vans on Instagram highways, our kids have learned that you can have all kinds of new experiences, learn things you never knew, and even get a taste of wildness right where you are, in your daily dutiful life. The key is in being willing to serve. He cites the guy on the bike as an example. Ben was driving home from church one Sunday when a young man on a bike waved him down on Highway 99 East. He wanted directions to the train station so he could go to Denver. He has friends there, he said. He seemed vague, troubled and incompetent to be on his own. There on the shoulder of the road, Ben had a decision to make. He could point the guy in the general direction of Eugene, go home, eat Sunday dinner and read the paper. Or he could offer to take on this man and whatever problems and risk he brought with him. They maneuvered the bike into the car, and Ben brought him home, gave him lunch, took him to the train station — where he couldn’t travel because he had no identification — took him to the bus ­station and bought him a ticket. “You can keep my bike,” the man said. “It wasn’t stolen” — which made Ben guess it ­probably was, but he was never able to track down an owner. And he never heard from the young man again. It wasn’t a hike up an Alaskan peak or a swim across a flooded river, yet it had all the elements of adventure: a choice to make, a yes instead of a no, an element of risk, a few surprises, and a good story to tell afterwards. If you open your life to opportunities to serve, you never stop learning, and you never know what will happen next. Emily, now 25, recalled how, when she was living in Colorado six years ago, she would bike past a fascinating old mansion and wish she could see the inside. Then she offered to help backstage at a community theater production of “Annie,” leading to a lot of hard work and a whole new world of experiences and friends. Afterward, the man who played President Roosevelt invited everyone to a cast party at his house, which turned out to be the fascinating old mansion, which he invited them to explore from attic to wine cellar. The year ahead holds opportunity for adventure, I’m sure of it. There will be new experiences and new skills to learn. But they won’t come in green-tinted ­nature photos shared on an iPhone screen. Instead, they will involve people who need something from me, they’ll look like hard work, and they’ll take time. 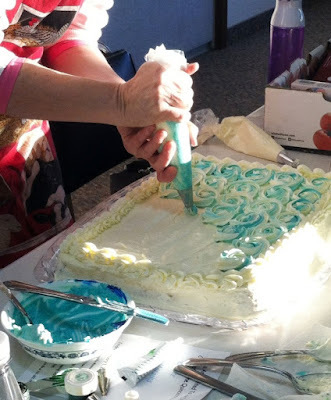 But I want to open my heart to the need, the moment, the Yes, remembering the fun of that Mexican-flavored party and the satisfaction of seeing 150 guests enjoy their beautiful slices of swirled and teal-tinted cake. It's been a while but I have attended two quinceañeras for nieces who had spent about five years of their childhood in Latin America. And, yes, it was not the traditional coming-out dance event, just a low-key family meal with the tres-leches cake, etc. At least one of them (maybe both) had a new pink dress for her celebration. This was just the nite of encouragement I needed to hear Dorcus. I am looking at my 58th birthday. I lost my Mother one year ago Jan 27, and most of my kids and grandkids moved back east last year. I am looking for a new way to build my life's meaning and purpose. Thank you for reminding me that I only have to look to those around me and be willing to share myself. I read a Washington Post article that said "normal" is out this year. Authenticity/odd is in, apparently. Good, I thought. Let's all be authentic, whatever that is. Probably your word "yes" is right on target and you are much edgier than you knew. :) I like this article a lot. Wonderful article. I hope that my Instagram-loving generation and the ones after it wake up and see this truth. Not that social media itself is wrong, but that the truly exciting and fulfilling things in life are found outside the border surrounding a filtered photo.